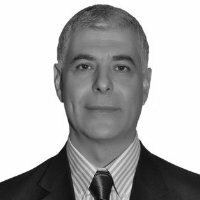 Elias Fikany is a member of the Eskil Board, responsible for the management of the MENA region. He is a seasoned HR professional with over 20 years’ experience in the field of Management & HR. Fluent in Arabic, English and French, Elias has an MA Degree from University of ENAP in Canada and Bachelor in Computer science and has 14 years’ experience in educational institute management and is former Principal at St Roch School in Lebanon. A highly collegiate consultant and advisor, Elias specialises in Management and Leadership Research; Performance Management; Assessment; Change; Organisational Restructure; Job Analysis & Job Families; and Training.